JK Trading is proud to sell the RSD range of high quality handheld electric cutting machines. The five cutters in the RSD line-up fall into two categories: lightweight general purpose cutters, and heavy duty pistol grip machines. All the RSD cutters can slice through cloth, leather, plastic and film with ease. The RSD-50 kicks off the range, melding compact dimensions, light weight, a comfortable handheld design, value for money and the ability to cut through material 10mm thick. Step up to the RSD-70 and you’ll be able to cut through up to 23mm worth of stuff thanks to its larger cutting blade and more powerful motor. Our first pistol grip cutter is the RSD-90 packs quite a punch, but even when it’s cutting through up to 26mm of material it won’t be tiring in your hand. The RSD-100 and RSD-100A round out the lineup. Although they share many features and specs, the RSD-100A is distinguished by the fact that it’s able to cut through carpet. † Requires a plug converter. 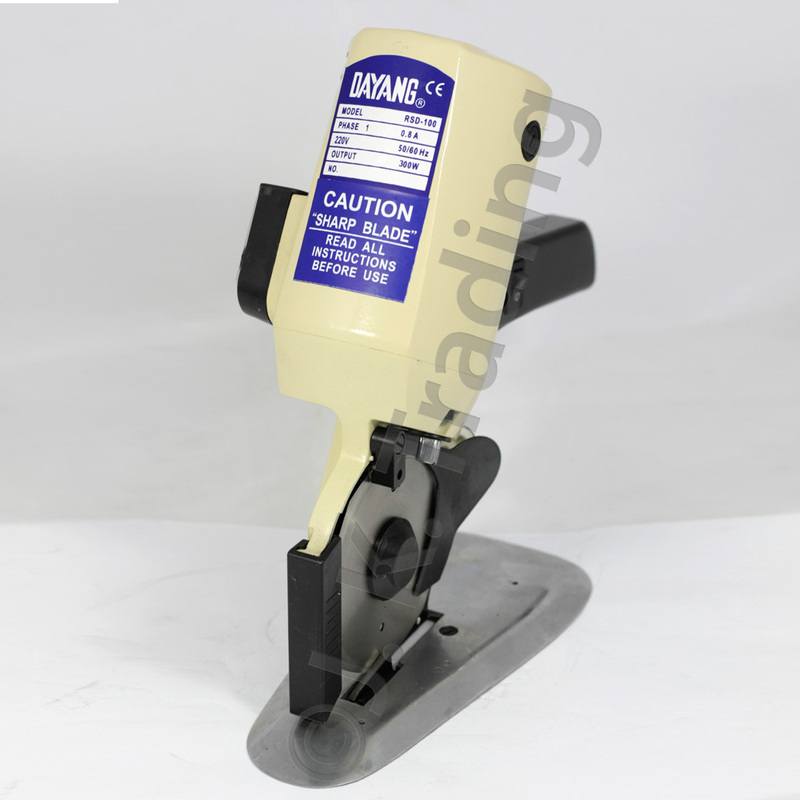 As with all the products in the JK Trading catalogue, we ship the RSD line of electric cutters to anywhere in Australia, from Perth to Sydney and everywhere in between. So, even if you live in Alice Springs or Zumsteins we’ll get these wonderful products to you.